Fregate Island Private offers travelers the unique opportunity to enjoy an exclusive island experience with a team genuinely committed to conservation. Meanwhile, luxurious accommodation is sensitively developed, with a spaciousness that allows guests to immerse themselves in the natural beauty while enjoying the finest hospitality. Fregate Island’s Rock Spa is the ideal spot to both relax and revitalise the mind, body and soul. Drawing on age-old know-how and the healing properties of local plants, the spa’s experts offer treatments, massages and yoga instruction in a truly peaceful environment. Swimming, snorkeling, scuba diving by day or night or fishing. Sailing, surfing and kayaking equipment - from windsurfing boards, water skis or banana towing, sunset cruise and a powerboat. Stargazing program to explore the night sky or do island hopping by helicopter. Home to 2000 free-roaming Giant Aldabra Tortoises. Safeguarding the nests of hundreds of endangered Hawksbill Turtles. Home to the “Seychelles Magpie Robin”, saved from extinction at the sanctuary of tropical birds (with over 100 species). Rehabilitation of indigenous forest with tens of thousands of trees planted. 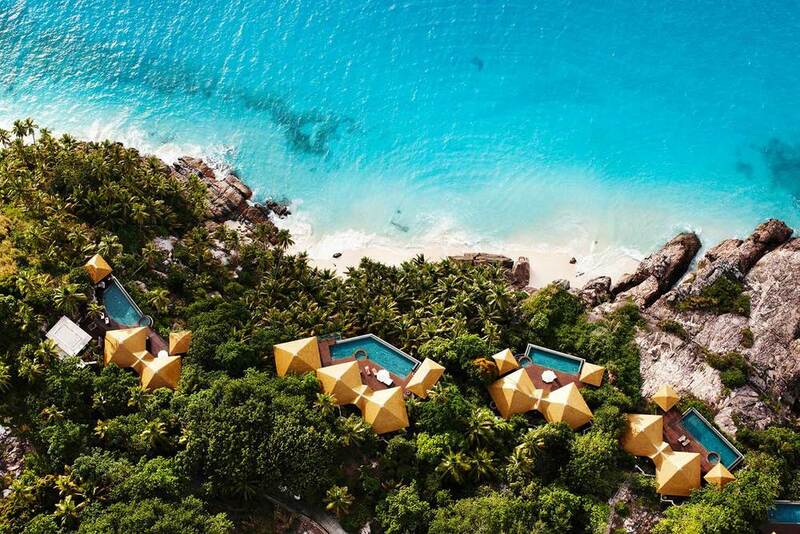 Fregate Island is accessible by sea and air: personalised services for helicopter, plane or boat transfers from Seychelles International Airport on Mahé Island. 15-minute flight to Fregate Island or 1.5-hour boat trip from Mahé Island.